DynaPro low profile brake kits are designed specifically to fit most 14" or 15" wheels. Using an 11" rotor and 4 piston DynaPro caliper for stopping. They feature an internal drum brake for parking. 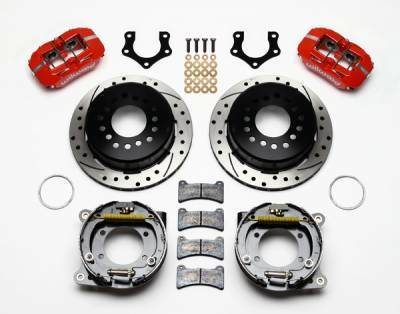 The forged aluminum caliper is built with stainless steel pistons and loaded with our high performance pads. 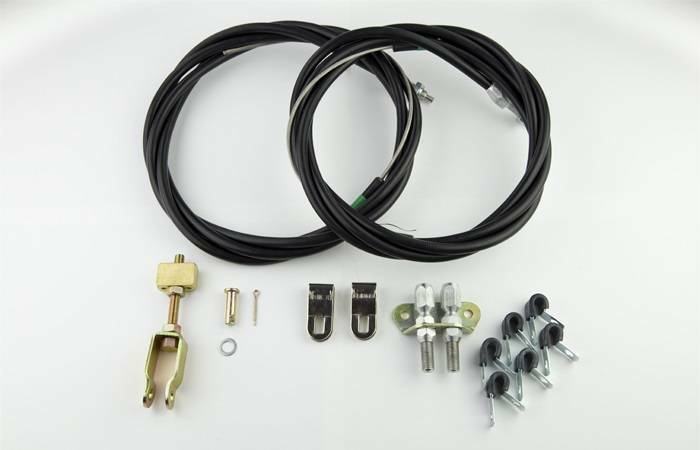 Includes universal parking brake cables. This kit requires a non-adjustable snap ring bearing Strange Engineering PN A1022 or Moser Engineering PN 9400M (not included).